Note: Three members of our team (Ishita Ghosh, Jenna Burrell, and Janaki Srinivasan) attended the IMTFI conference Dec 5th-7th at UC-Irvine as recipients of IMTFI research grants. This year’s annual conference at the Institute of Money, Technology & Financial Inclusion (IMTFI) showcased projects from around the world. While attending the conference, we noticed some salient themes and trends emerging from the corpus of work presented at the IMTFI conference. This work appraised mobile money innovations and interventions in two ways: i) by considering financial behaviours in general in the developing world, and ii) by assessing mobile money culture & practices directly. In this way the projects presented some compelling ethnographic detail about the culture around the use of mobile money, especially around remittances, but at the same time also shed light more broadly on the nature of financial transactions & behavior, across distant, disparate cultures as well as in immediate, delimited spaces. It certainly remains important to understand the financial behaviours and cultures in the developing world before the intervention of mobile money can be conceptualized and implemented. Katherine Martineau and Pradeep Baisakh presented work from the state of Orissa in India where they brought up the idea of visibility and invisibility of money. The invisibility or obscurity of money and other financial assets was practiced through hiding money within the house, under rags or elsewhere, and by avoiding trips to the nearest bank (which may still be a substantial distance away). This was practiced to keep theft at bay by avoid outsiders from being able to perceive a households wealth. Any visibility of money was more of a marker within a household, for instance bills may be kept within sight (such as by being suspended from the ceiling) to constantly remind the household members to pay them on time. In this manner, the visibility and invisibility of money and its markers were transformed within and outside the boundaries of a home space. Moreover, it remains important to understand that financial cultures may greatly vary across different contexts. In keeping with the theme of visibility and invisibility of money, Magdalena Villarreal and Isabelle Guèrin provide an example where gold as a financial asset is hidden from public view in Mexico to prevent theft, whereas gold as a social asset is proudly displayed in India, most often as jewelry, to signal wealth and position. Many presentations described existing financial practices and outlined relevant lessons which may (or may not) directly impact mobile money innovation. Rosina Nasir described self-help groups in the state of Andhra Pradesh where women’s groups may self-organize to save small amounts of money over time in order to disburse informal loans to its members, as well as to improve the group’s credit-worthiness to qualify for formal bank loans. Nasir noted that trust, shared knowledge, social relationships and reciprocity remained important for the seamless administration of these self-help groups. Eric Osei-Assibey described SUSU, a similar financial model where SUSU operators collected small amounts of money from market women on a daily basis then returned the full amount, less a day’s amount towards commission fees, at the end of each month. In this way, the SUSU operators are able to enforce discipline towards the accumulation of small amounts of money by the market women. Interestingly, Osei-Assibey cited the overdependence on trust (in the SUSU operators) as being one of the main challenges of this traditional financial system. In the event that a SUSU operator decamped with the collected money, there was no legal recourse for those who lost money. Therefore, trust remained an important factor in facilitating these informal, traditional financial systems, but without any real check on potential fraud, distrust could very easily defeat the real objectives of these systems. Allerine Isles did observe specifically during the course of her research that savings among her subjects remained mostly at their homes, and that credit was governed by informal loan histories and systems. However, it must be noted that the prevalence of these informal practices go beyond her case study in the Philippines; if anything these informal modes persist in a large part of the developing world as the earlier examples also demonstrate. Indeed, Mani Nandhi and Deepti KC noted during their presentation that compelling unbanked customers to open and maintain bank accounts may be an uphill task, as existing informal options may be perceived as satisfactory. Persuading unbanked customers about the benefits of banking may be faced with cynicism and a lack of interest. Eduardo Diniz, Adrian Kemmer Cernev, Charlotte Guy, and Nathalia Moreira’s work in Brazil focused on a semi-formal system where contained communities (known as neighbourhood associations) were encouraged to be self-sufficient through vocational and economic activities, through limiting purchases to local shops and businesses, and in some cases through internal currencies that were specific to a particular neighbourhood association. The researchers emphasized that the formalization of these communities, and consequently of their currencies, bore interesting lessons for mobile money initiatives. Along the same lines, Woldmariam Mesfin Fikre pushed for more research on the physicality of money as currency, rather than on abstract systems of value transfer. Not only did Fikre find his subjects distinguishing currencies based on colour, size and/or the pictures on the notes, he also discovered that his subjects were grappling with the physical environment where they kept and stored money, where theft and fraud were bigger concerns, but where handling money, managing balances and constant budgeting also remained matters of interest. Steering away from financial practices specifically yet providing a snapshot of an economic setting, were Jenna Burrell, Janaki Srinivasan, and Richa Kumar who presented their work on mobile phones in fisherfolk communities in the state of Kerala, India. More specifically, their work was appraising the position and the value of mobile phones in seeking market price information within a trading context, finding that scholarship and media coverage has tended to overplay the role of this practice of market price acquisition and comparison which is practiced only by a narrow subset of roles in the fishing industry. Their ethnographic work was also able to reveal how the mobile phone may empower women with long working hours to achieve a semblance of work-life balance by keeping in touch with their family back at home. Gender empowerment, especially for women, was a recurring theme in the work of researchers looking at mobile money directly, as we will see later. Much work presented at the conference spoke about mobile money implementations (or the lack thereof) directly. While most of this concentrated specifically on the nature of services offered on the mobile platform, other work looked at the inclusion (and more importantly, exclusion) of patrons, as well as mobile money’s capacity to offer external, organized services (such as the disbursement of conditional cash transfers). Remittances and payments dominated the conversations about the services offered on the mobile platform. As Sibel Kusimba noted remittance services can be categorized as three types: urgent needs, everyday expense, and social payments. This categorization may also reveal to us the nature of the remitter and the recipient of mobile money payments. For instance, in times of emergencies (urgent needs), receivers may appeal to peers, instead of elders or children in their families to avoid worrying them. Social payments via mobile money, on the other hand, were common although did not substitute for the presence of the remitter during a funeral or coming-of-age ceremonies. It is certainly important to understand who is sending and receiving money, and why they are doing it, in order to better understand the mobile money culture. Ndunge Kiiti and Jane Mutinda’s research was also able to demonstrate who was not using mobile money services. Their work showed that visually impaired users lacked complete autonomy while conducting mobile money transactions. They had to necessarily part with their PIN numbers in order to complete transactions, thereby exposing them to fraud by the middlemen (typically, the agents). Their work certainly revealed the inadequacies of the mobile money platform for use by persons afflicted with disabilities. Gender was another recurring theme in the discussion of mobile money platforms and use. Sibel Kusimba noted that mobile banking may empower both men as well as women. Simiyu Wandibba, Stevie Nangendo, and Benson Mulemi found that women were typically recipients of money over the mobile platform in Eastern Kenya. Both Kusimba and Wandibba’s team found that mobile money may lead to divorces in certain communities as men could now engage in clandestine transactions, thereby compromising their responsibilities towards their families. Ishita Ghosh and Kartikeya Bajpai’s research shifted the focus from remittances on the mobile platform, to savings. They outlined the differences between remittance and savings services, and how they may or may not be delivered seamlessly within the mobile money model (the mobile money models will differ from country to country as per the prevailing regulations). They asserted that given remittance’s one-time, discrete nature when compared to the long-term locking in of savings, the mobile money platform seemed more suitable for supporting remittances. Tonny K. Omwansa and Timothy Mwololo Waema’s research demonstrated the capacity of the mobile platform to deliver and recover loans to and from its clients. Safety was cited as a primary motivation for linking credit practices to the mobile phone. 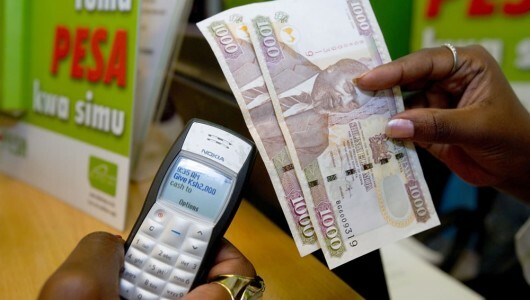 But mobile money linkages may not be suitable everywhere and all the time. For instance, when Vivian Afi Dzokoto and Elizabeth Appiah recommended the use of mobile money for church donations, their subjects emphasized the importance of hard cash as a marker for inclusion in rituals and ceremonies. Can these linkages of financial transactions to the mobile phone replace informal practices, or will they merely act as additive channels in regions that are not served by physical bank branches? Operators of existing informal financial systems may certainly perceive mobile money as a threat as Osei-Assibe observed in his research of the traditional SUSU model. Indeed, this tension between informal practices and mobile money’s semi-formal options exist not only amongst potential users and their uptake, but also amongst the operators of existing informal financial systems.